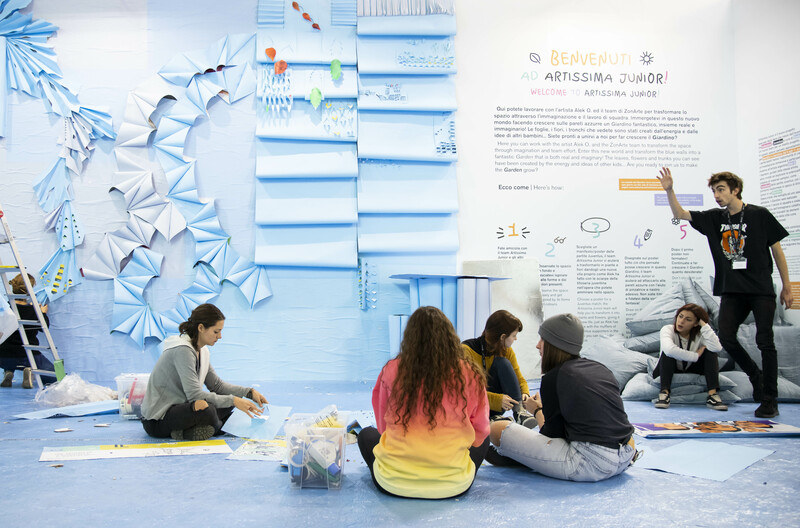 Artissima Junior was the new special project of the fair 208, aimed at young visitors, to involve them in an immersive, participatory artistic experience. 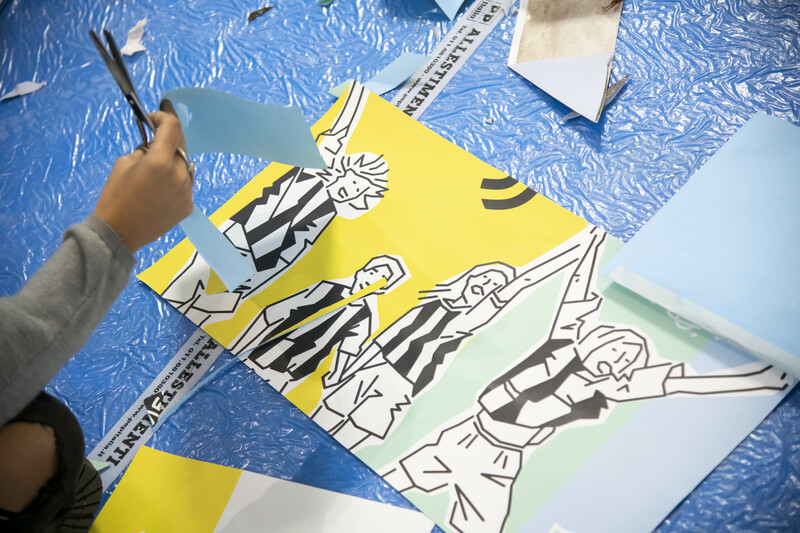 Formulated and created in collaboration with Juventus, Artissima Junior was a workshop space inside the Oval where hundreds of children, together with an artist, were invited to construct a large environmental installation. 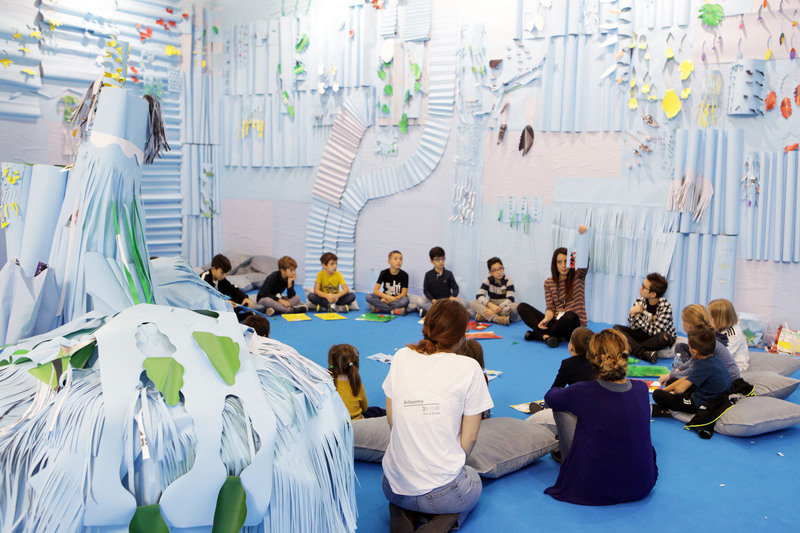 The initiative was coordinated by ZonArte, a network supported by the Fondazione per l’Arte Moderna e Contemporanea CRT of Torino, which since 2010 has gathered together the Education Departments of the leading contemporary art institutions of Piedmont: Castello di Rivoli Museum of Contemporary Art, GAM – Galleria Civica d’Arte Moderna e Contemporanea, Fondazione Merz, and PAV Parco Arte Vivente, an experimental centre for contemporary art (in collaboration with Fondazione Sandretto Re Rebaudengo and Cittadellarte Fondazione Pistoletto). 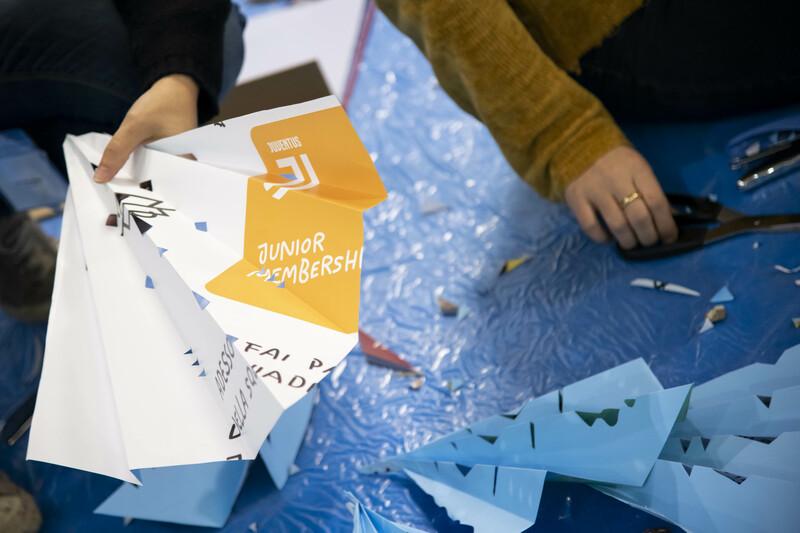 Artissima Junior was the first special initiative of the Fair that involved kids from 6 to 11 years of age in teamwork whose rules have been defined in collaboration, contributing to freely develop independent thinking. 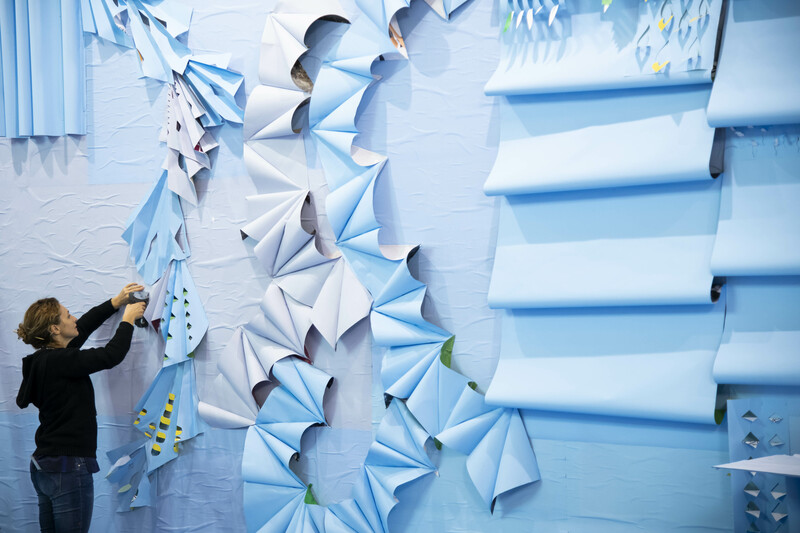 The project was designed and guided by the South American artist Alek O. (Buenos Aires, 1981), who involved the young people in the creation of a group work, The Garden, an inhabitable work of architecture that continued to grow and change. Here different species coexisted to create a variegated, vital and stimulating environment, where the energy and fantasy of all participants have transformed and reinvent the space. 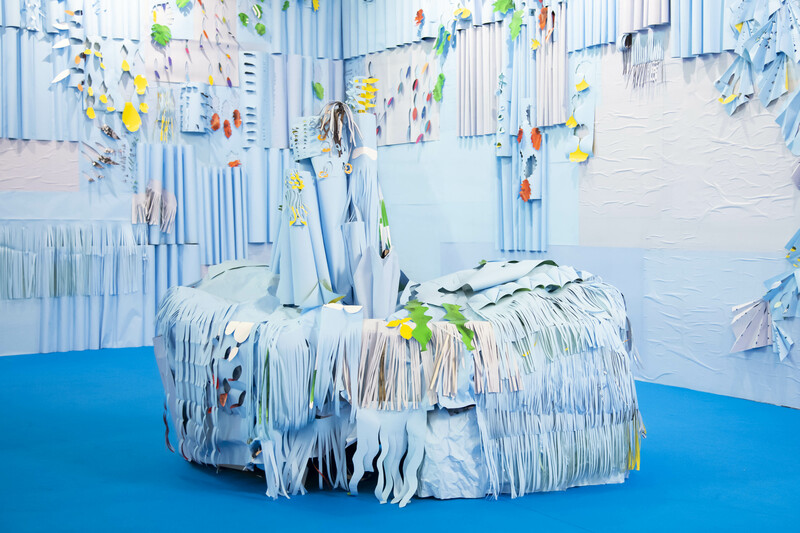 Alek O. has been invited for her ability to transform everyday materials through assembly and rearrangement, in raw materials of a symbolic value. 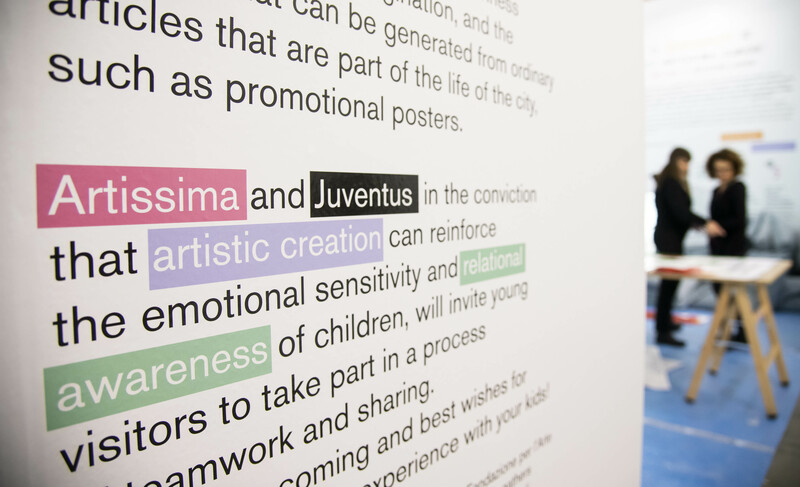 She led children in assigning a new role and a new life to the advertising banners of Juventus matches, making them become a large environmental artwork. With a focus on the value of the relation as essential element, each participant was stimulated to act and manifest her/his vision revealing the beauties that come from ordinary elements. The space also featured Luisito Monti (2018), an original work by Alek O. created specifically for Artissima Junior starting with reflections on the iconic materials of the world of football. The artist, as in her well-known works made with used jumpers, has painstakingly unravelled and reassembled, through embroidery, a series of scarves worn by Juventus supporters. Reduced to a series of yarns of different colours, the scarves have been sewn onto a canvas to create a modern geometric tapestry. 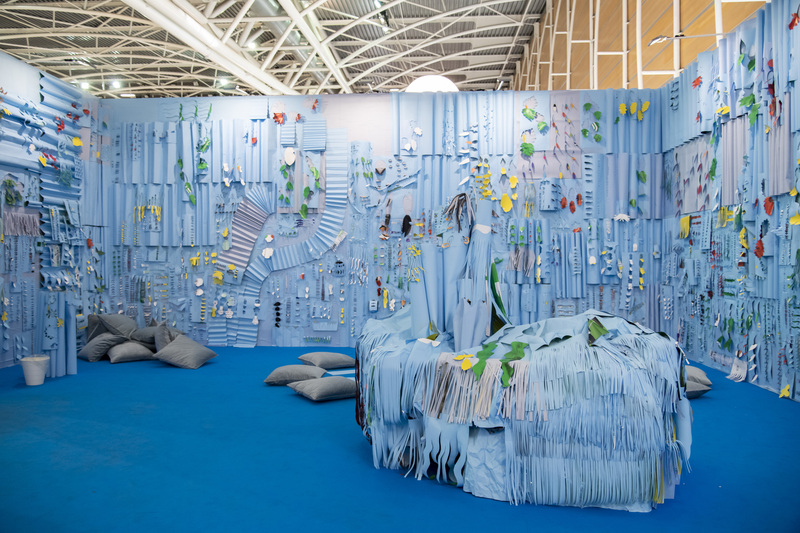 The artist thus takes possession of the intrinsic emotional impact of these objects, with their magical propitiatory power, transforming them into a work of contemporary art that takes its cue from the embroidery of Anni Albers and the tapestries of Alighiero Boetti. The title Luisito Monti is a tribute to the Argentine football star born in Buenos Aires on 15 May 1901, who played for Juventus, and to his incredible story that speaks of determination. The work reflects on the role of football fans and their impact on players, in which the ‘wool’ becomes the protagonist of a metamorphosis . 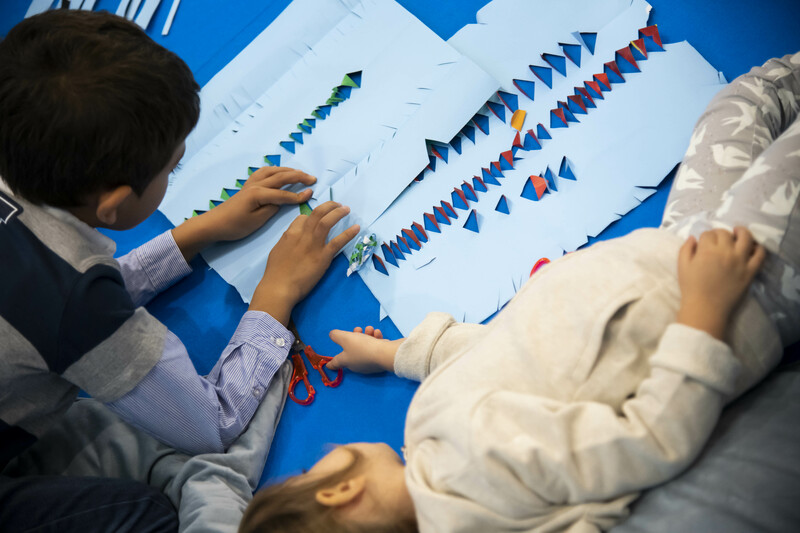 Artissima and Juventus, in the conviction that artistic creation can reinforce the emotional sensitivity and relational awareness of children, have invited young visitors to take part in a process of teamwork and sharing. 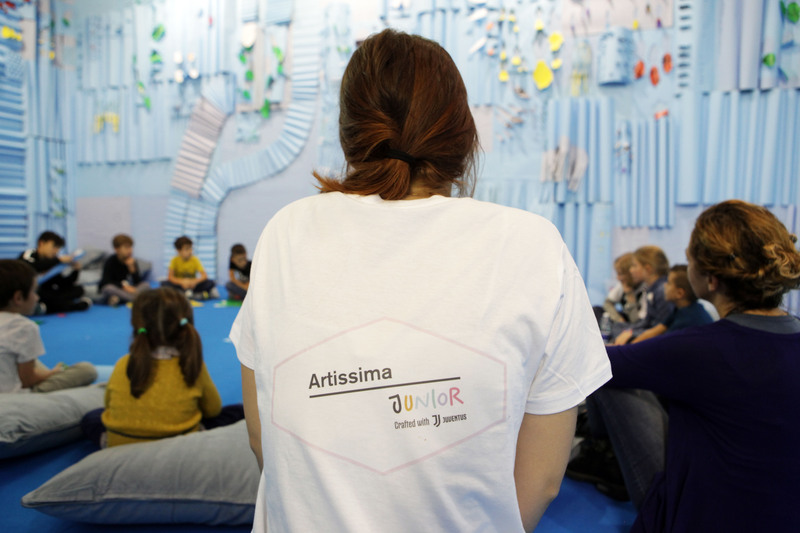 Artissima Junior offered kids the chance to take part in the creative process of The Garden and to experience the ways contemporary art can transform everyday life and the world in which we live. Luisito Monti, who after his great performance at the Olympics in Amsterdam in 1928 retired to make pasta, was persuaded by Juventus to return to football, as the team’s centre-half. But on 1 August 1931, when he arrived in Genova on a cruise ship, Luisito was tormented by the journalists who called him “el gordo” (the fat one), because after eating lots of pasta without constant workouts his weight had risen to 92 kg, for a man standing only 167 cm tall. Spurred on by the disappointment of the fans and the Juventus management, Luisito promised to get back in shape in a hurry. For the whole month of August, training alone under the hot sun, he worked out with a 4-kilo medicine ball, wearing three wool jumpers and consuming as few calories as possible, in a daily weight-loss regimen. In September he was in excellent form for his 32 years of age, and amazed the team with his miraculous comeback and extraordinary efficacy on the pitch. Luisito Monti was undoubtedly the finest “metodo system” midfielder to ever play in Italy. He won the 1934 World Cup final with the Italian national side, beating Czechoslovakia. He continued his outstanding career until 1939, when he retired at the age of 37.